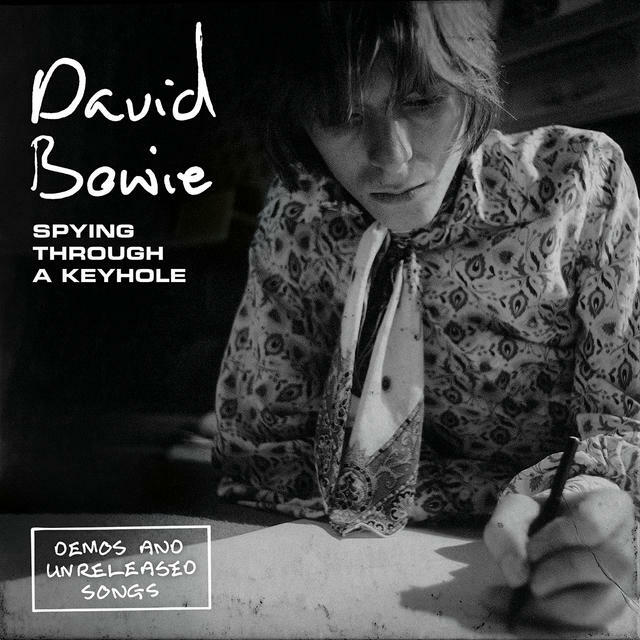 This year marks the 50th anniversary of David Bowie’s first hit single, “Space Oddity” (you know, the one that starts off with him crooning, “Ground Control to Major Tom…”), and to commemorate the occasion, Parlophone has just released SPYING THROUGH A KEYHOLE, a box set of 7” vinyl singles featuring nine previously unreleased – well, at least in any physical capacity, anyway – from that very era. The recordings are, for the most part, solo vocal and acoustic home demo performances, and aside from a brief streaming stint, they’ve never been officially available. That’s all changed now, of course, as they’ve been packaged in a box which features a photo by Ray Stevenson that was taken in 1968 in Tony Visconti’s flat.